A Queens native and current news and features editor at DigBoston who moved to Massachusetts a decade ago, Chris Faraone is a dedicated alternative news booster. Faraone’s first book, the Occupy travelogue, 99 Nights with the 99 Percent, earned applause from outlets including UTNE Reader, Columbia Journalism Review, and The Economist. His second project, Heartbreak Hell, recounted his week working as a journalist following the experience of being two blocks away from the Boston Marathon Bombing. 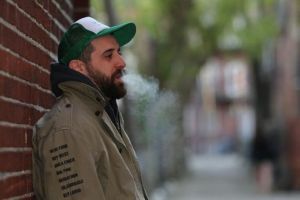 Faraone has also contributed to publications including Boston magazine, In These Times, and The American Prospect, and occasionally covers the Wu-Tang Clan and politics for Esquire.com.